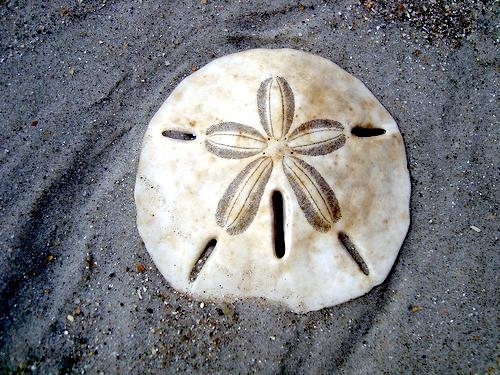 The familiar exoskeleton of a dead Sand Dollar found cast up on a beach, is white with an obvious 5-pointed shape on the back but a live Sand Dollar has a completely different look. 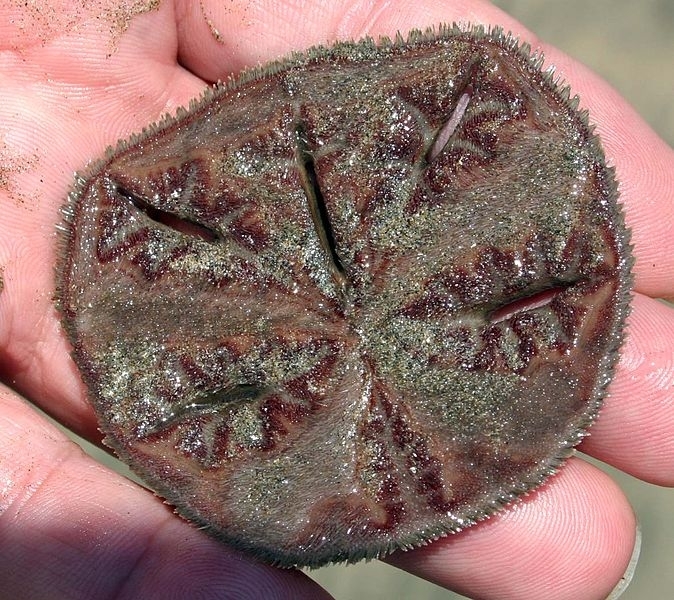 Densely packed, tiny, dark purple spines cover live Sand Dollars and hide the star design. 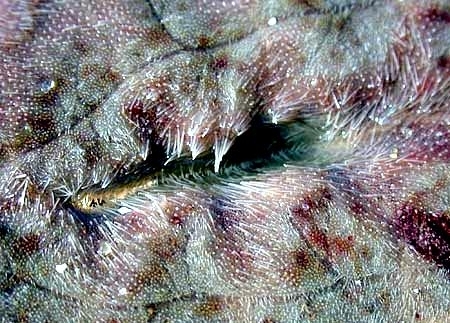 In their sandy seafloor habitat, Sand Dollars use their fuzzy spines aided by tiny hairs (cilia), to ferry food particles along their bodies to a central mouth on their bottom side. 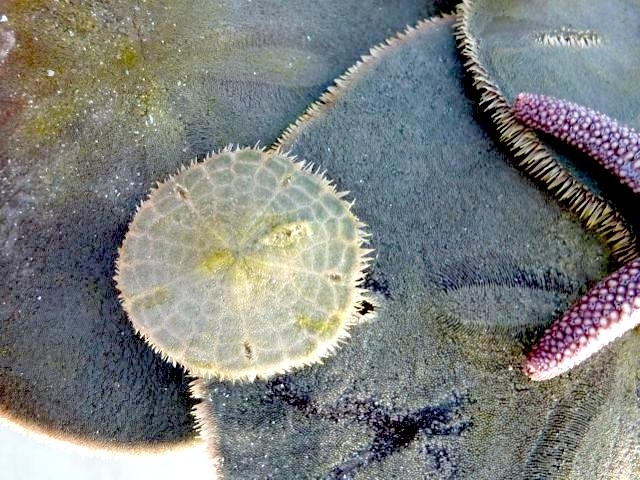 They capture plankton with spines and pincers (pedicellariae) on their body surfaces. 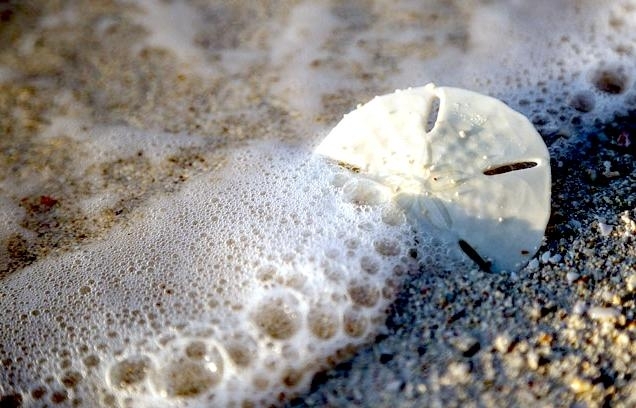 A tiny teepee-shaped cone of spines bunched up on a Sand Dollar’s body marks a spot where captive amphipods or crab larvae are being held for transport to the mouth. 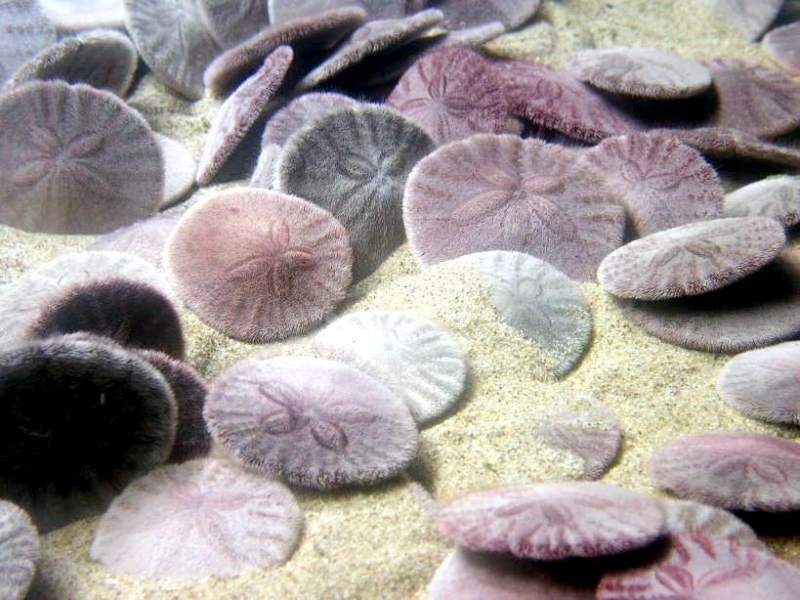 Unlike Sea Stars that use tube feet for locomotion, Sand Dollars use their spines to move along the sand or to drive edgewise into the sand. 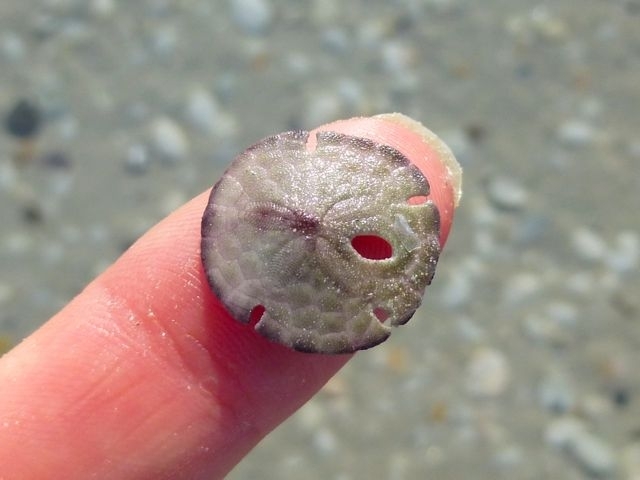 On the upper half of the Sand Dollar’s body spines also serve as gills. 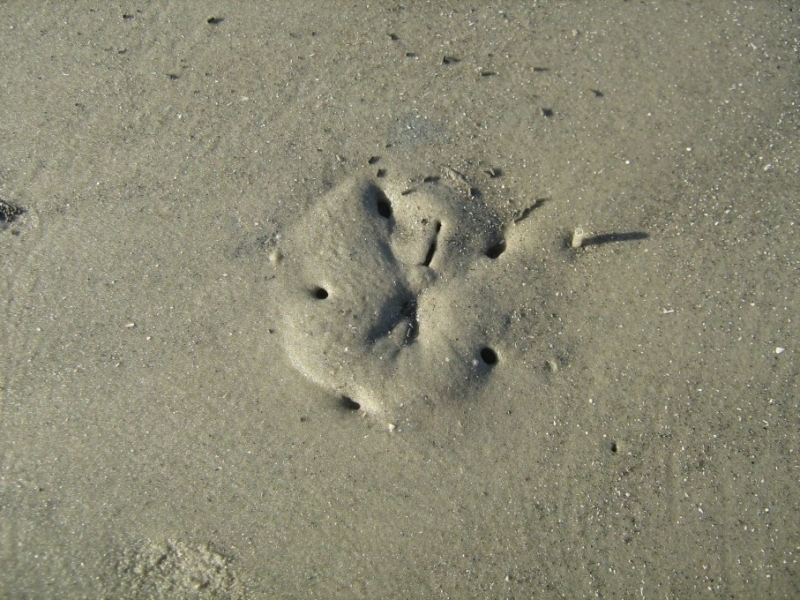 In quiet waters, these flattened animals stand on end partially buried in the sand. 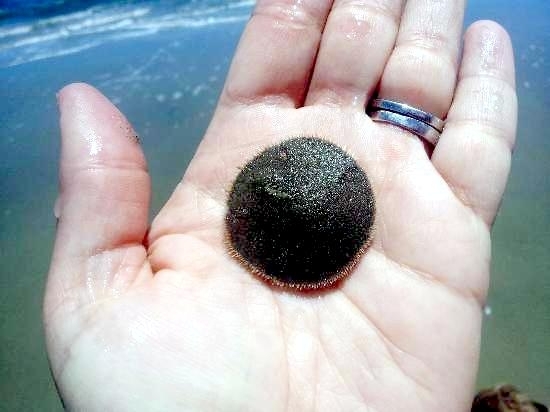 When waters are rough, Sand Dollars hold their ground by lying flat or burrowing under. 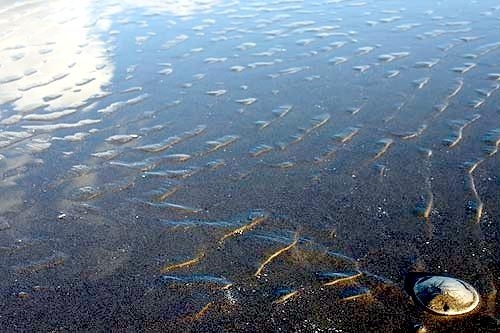 In fast-moving waters, adults also fight the currents by growing heavier skeletons. 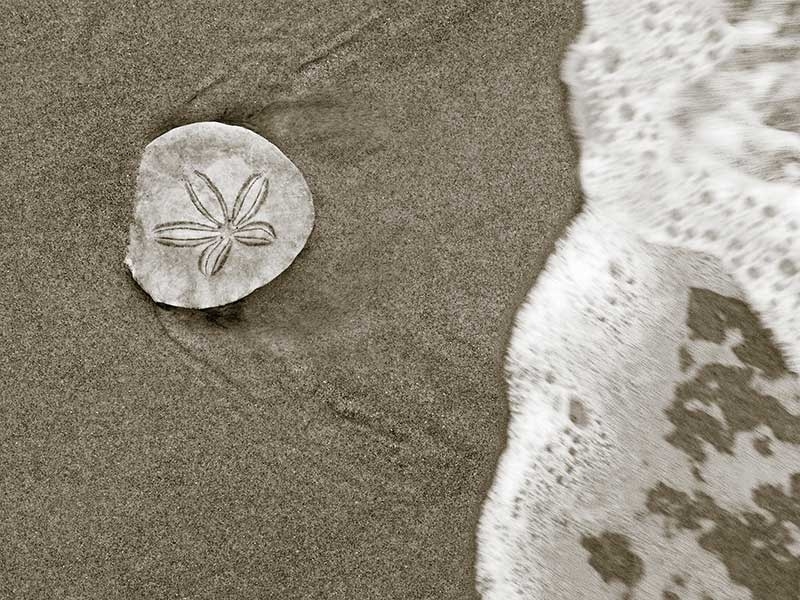 Young Sand Dollars swallow heavy sand grains to weigh themselves down. 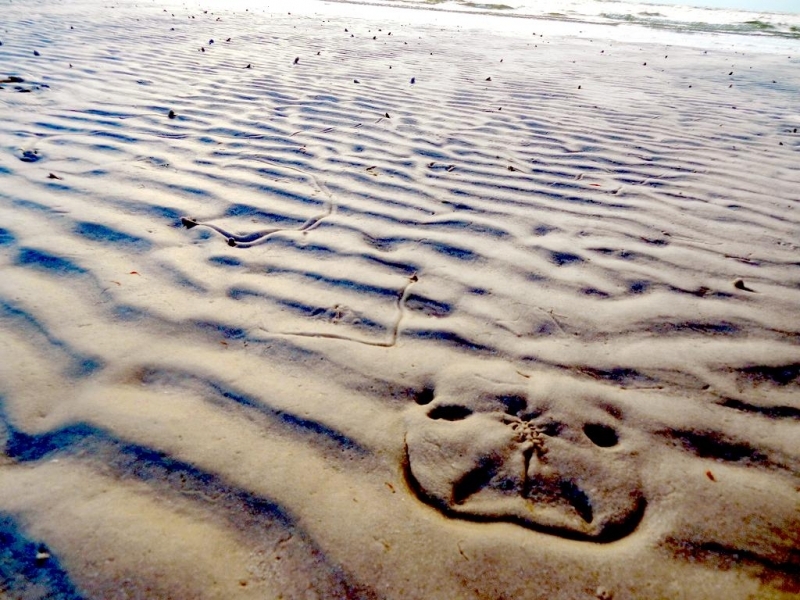 The sandy seafloor seems to be barren until you look closer. 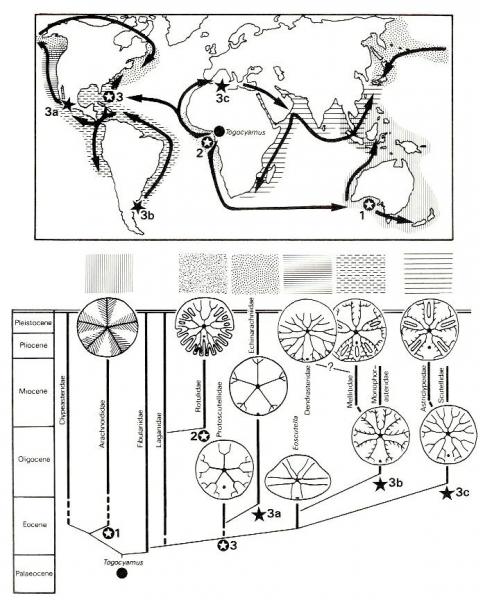 Diversity is low, but species concentration is high. 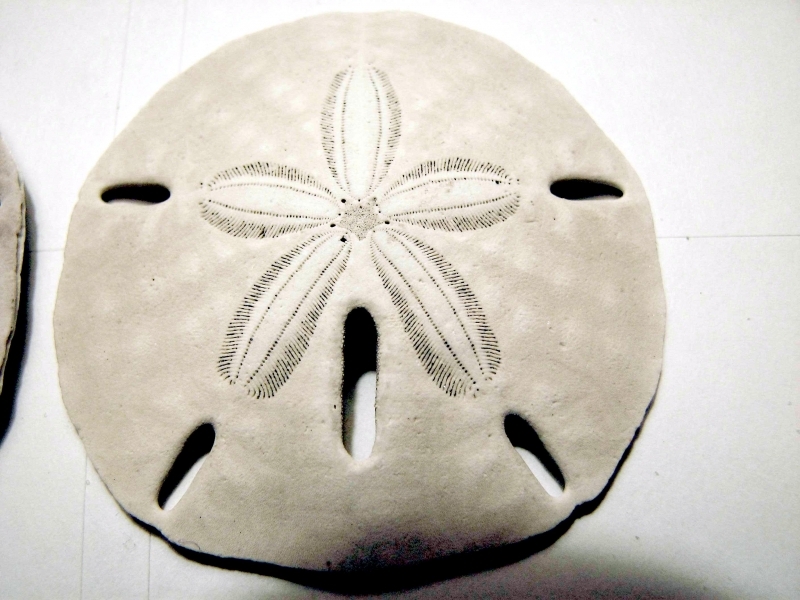 The Sand Dollar is found in temperate and tropical waters. 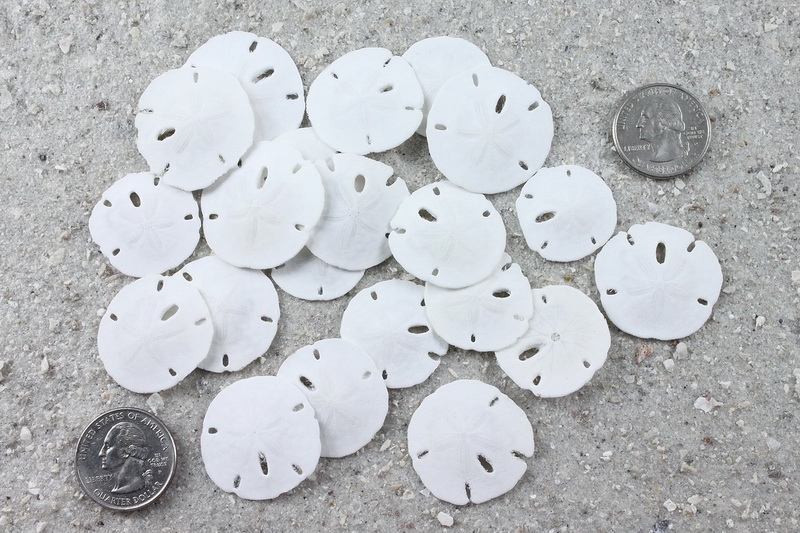 Sand Dollars are usually crowded together over an area with as many as 625 Sand Dollars living in 1 square yard (.85 square meters). 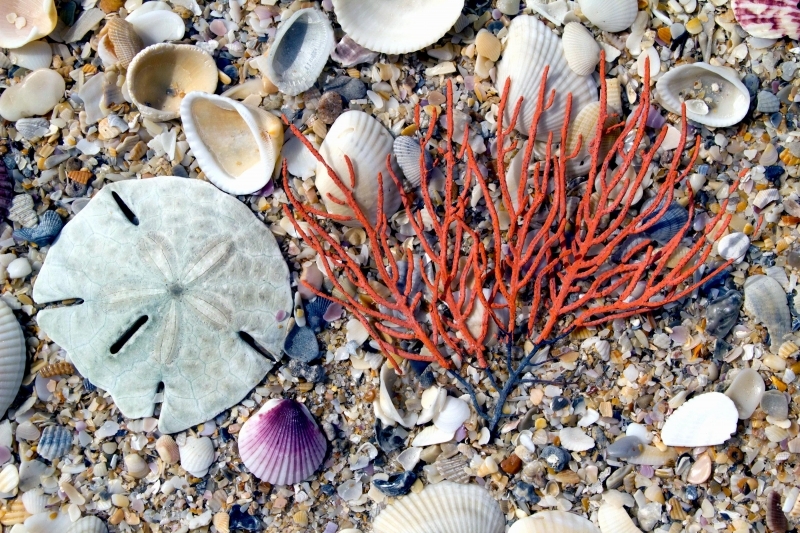 Detritus and microscopic organisms settled on the sand provide food for scavengers and filter feeders like burrowing Sea Anemones. 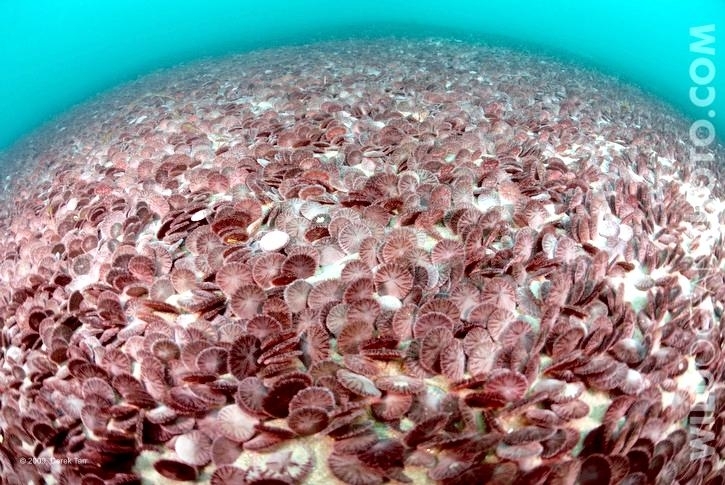 Above the sand, crabs scurry for food. 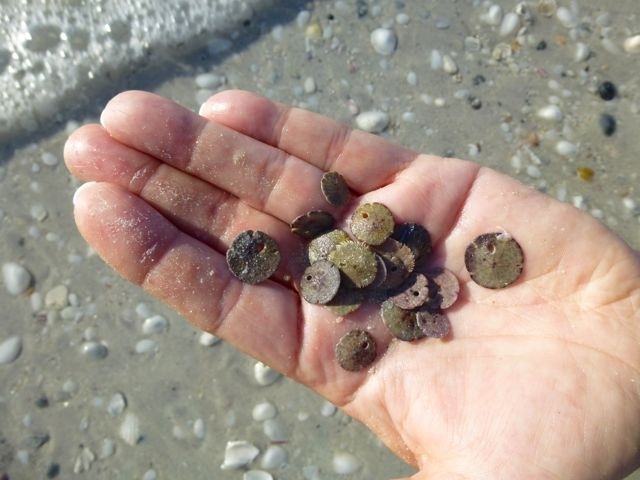 Flatfishes, skates and some sharks hide in the sand. 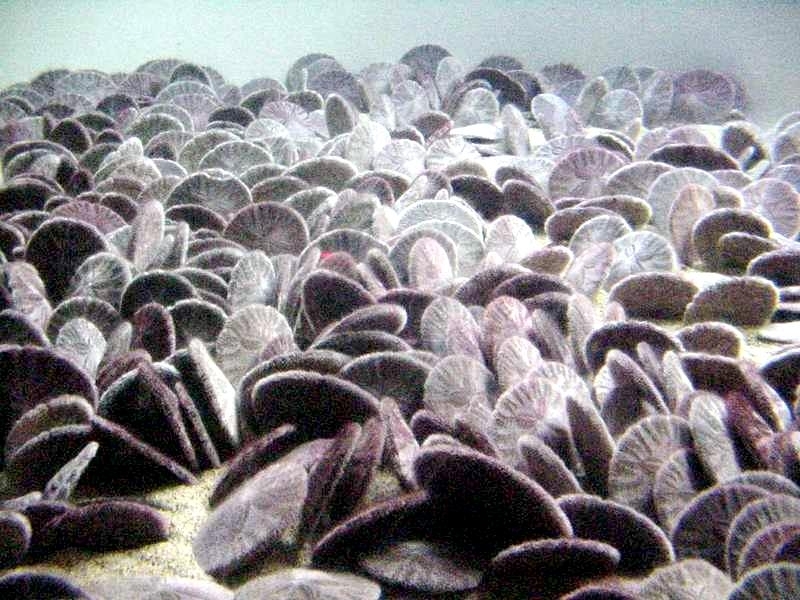 The sandy seafloor is a valuable resource and needs protection. 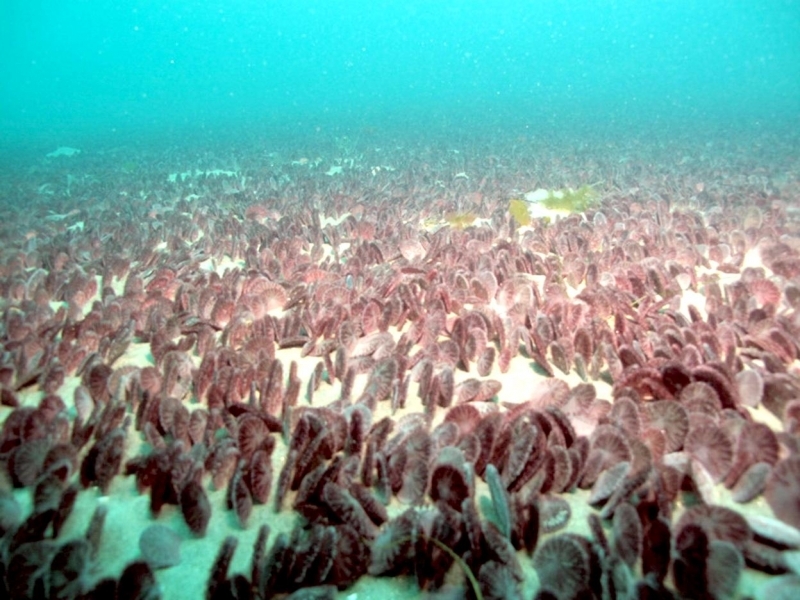 Bottom trawling causes damage to seafloor habitats and accidentally catches & kills tons of marine life every year. 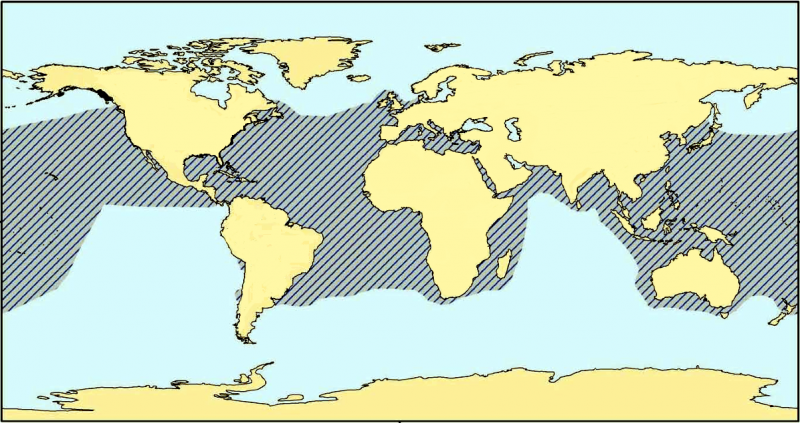 The good news is that some US states have enacted laws regulating trawling. 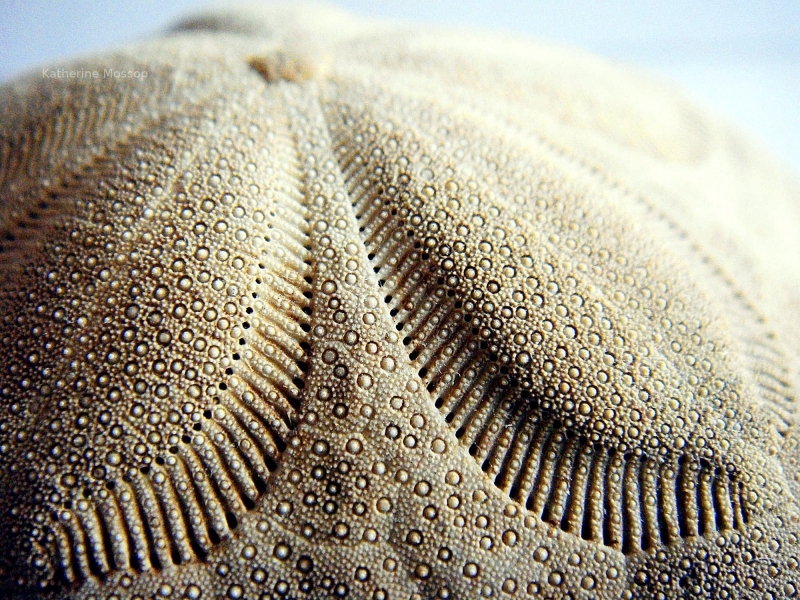 The Sand Dollar’s mouth has a jaw with five teeth-like sections to grind up tiny plants and animals. 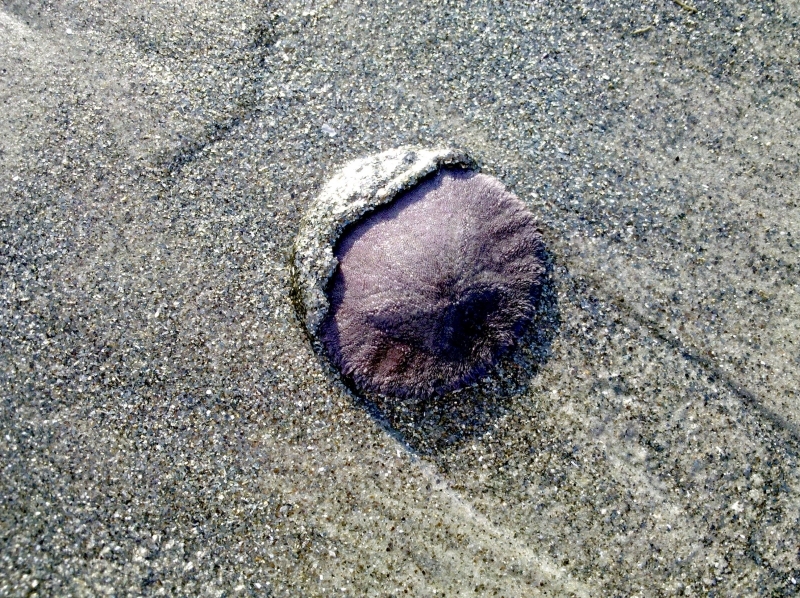 Sometimes a Sand Dollar “chews” its food for 15 minutes before swallowing. 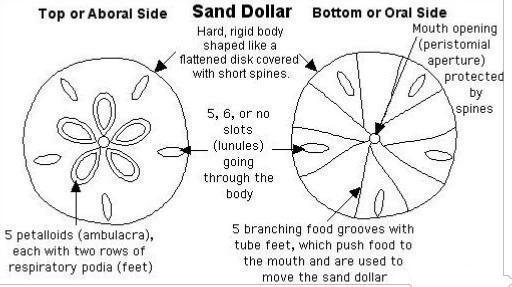 It can take 2 days for the food to digest. 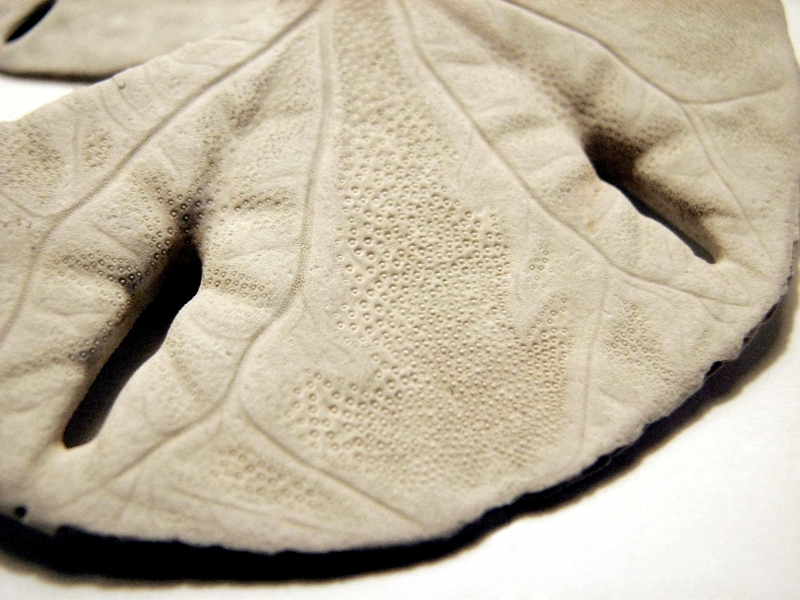 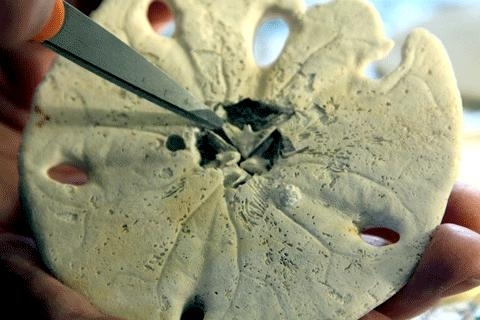 Scientists can age a Sand Dollar by counting the growth rings on the plates of the exoskeleton. 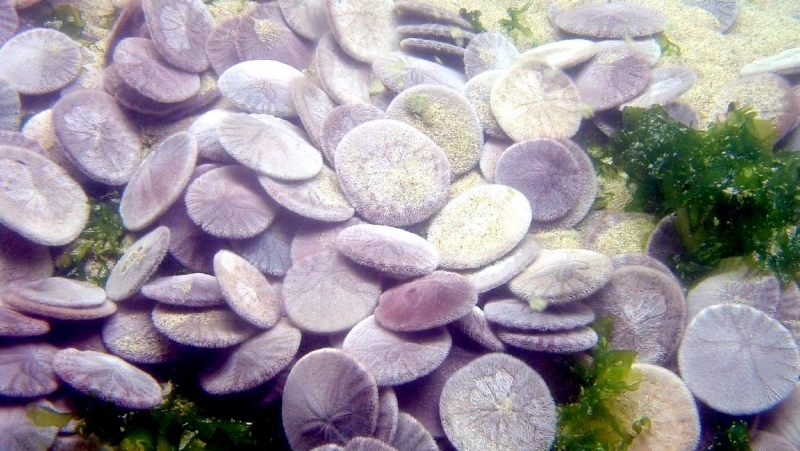 Sand Dollars usually live 6 to 10 years. 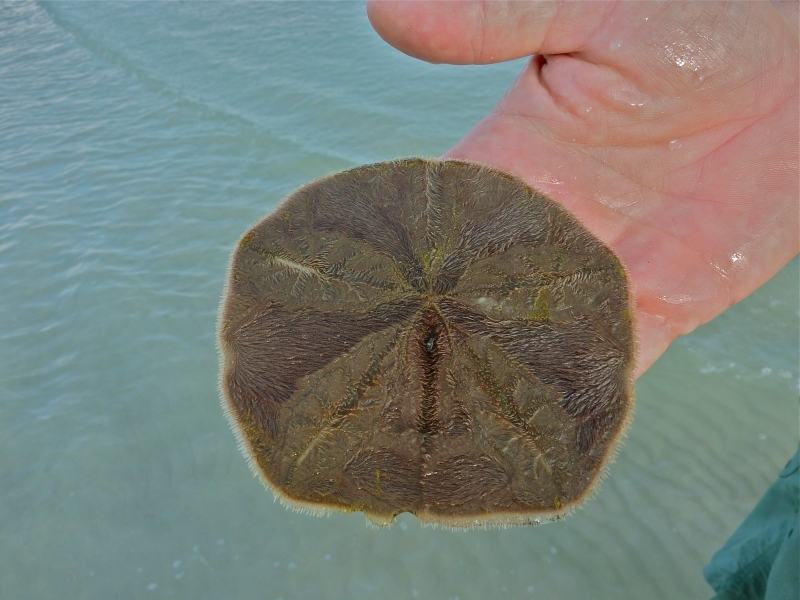 Sheepheads, Flounders and Sea Stars prey on Sand Dollars. 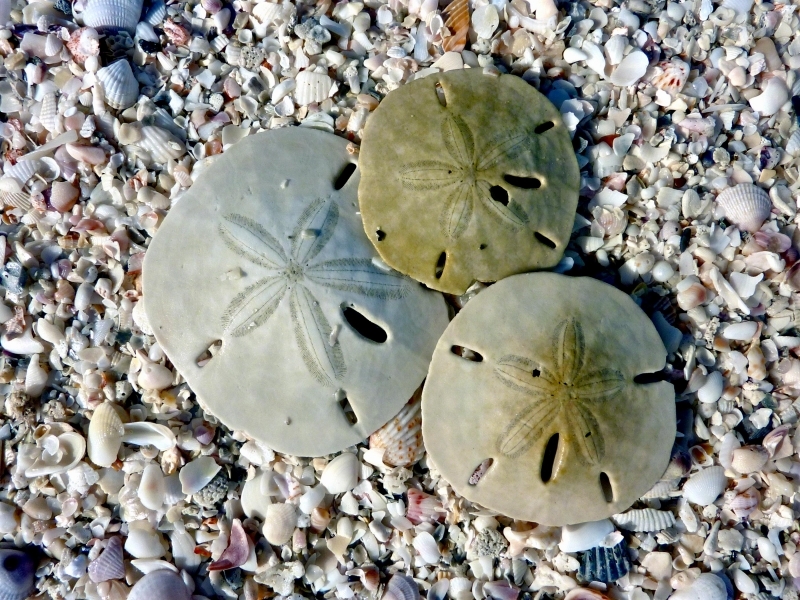 When threatened by Sea Stars, Sand Dollars bury themselves under the sand. 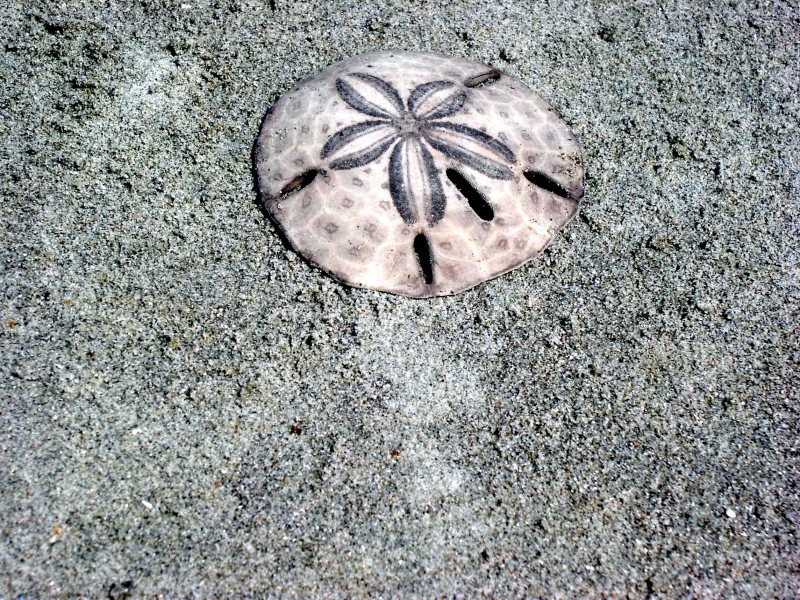 Observers have seen a Sea Star leave a wide path of buried Sand Dollars as it moves across a Sand Dollar bed. 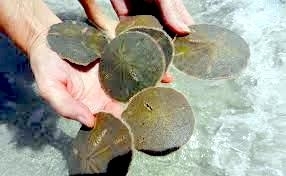 Sand Dollars do not live alone, they live in groups and create a neighborhood. 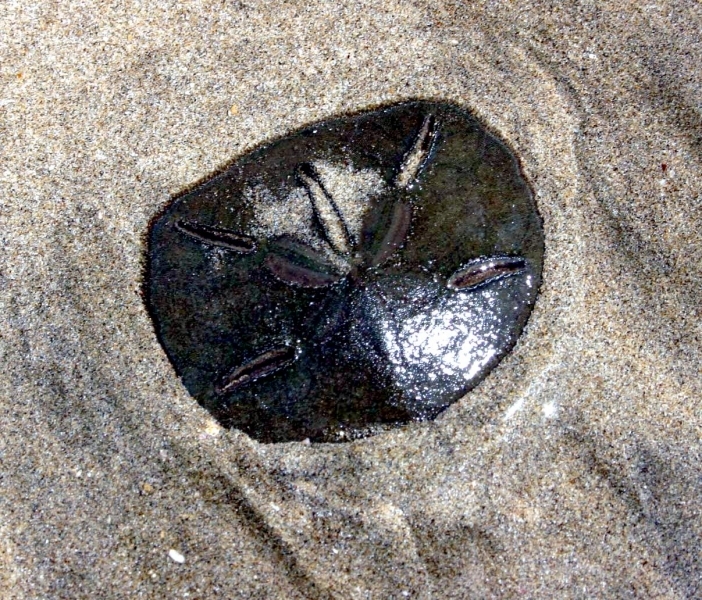 The urban dwelling groups are located miles away from the sandy ocean floor, while the suburban dwelling is seen only square feet from the ocean floor. 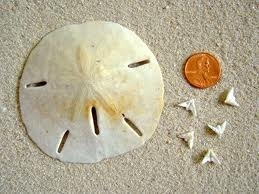 There are many species of Sand Dollars all over the world. 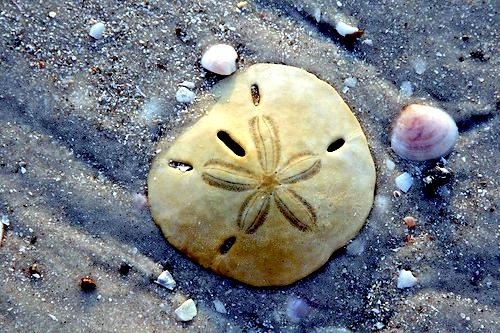 They have different names worldwide including Sand Cake, Sea Cookie or Sea Biscuit. 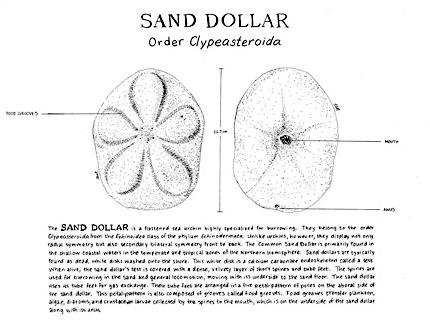 The species of Sand Dollar can be differentiated through their color. 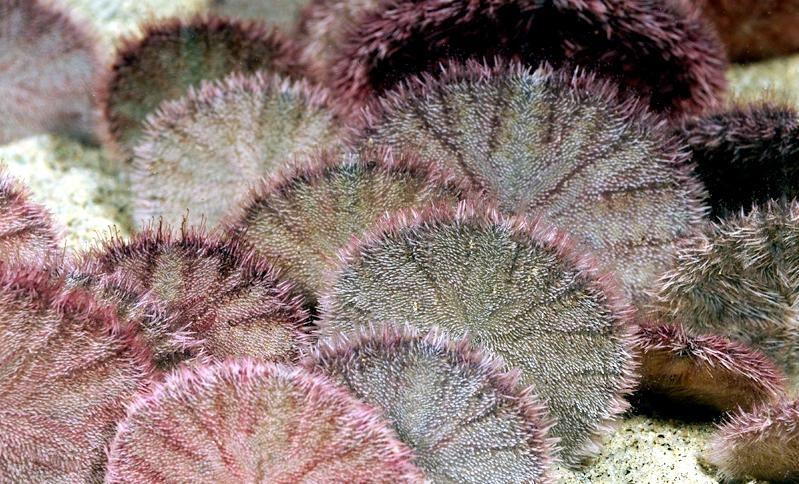 You can see them in purple, green, blue, brown or black. 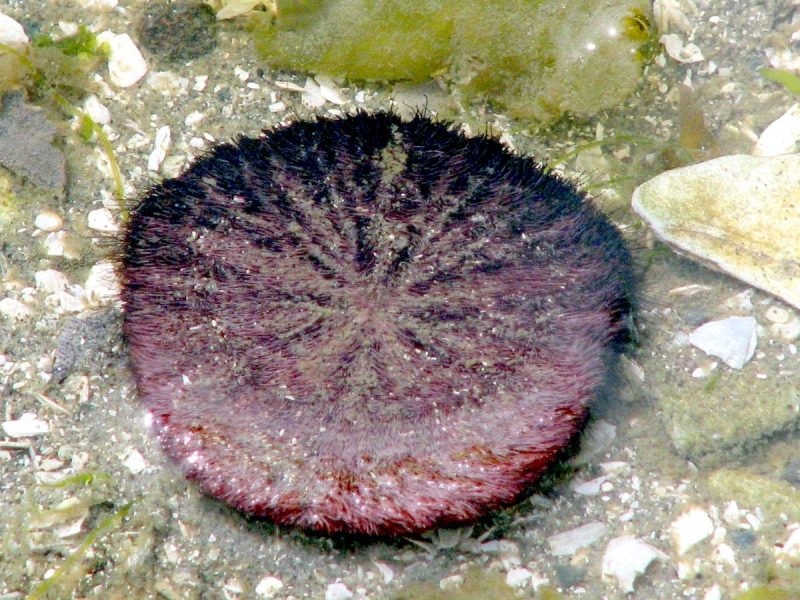 This animal has a close relationship with other members of phylum Echinodermata such as Sea Cucumbers, Sea Stars and Sea Urchins. 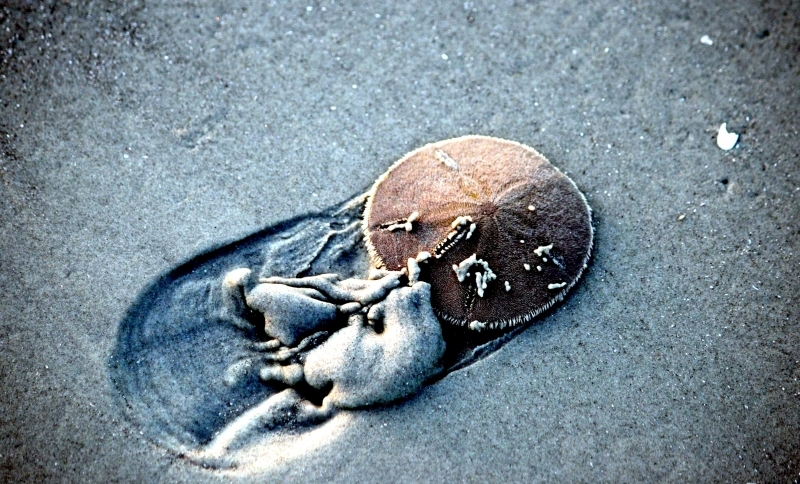 Spawning is the way Sand Dollars reproduce with the females releasing the eggs and the males releasing the sperm on the water. 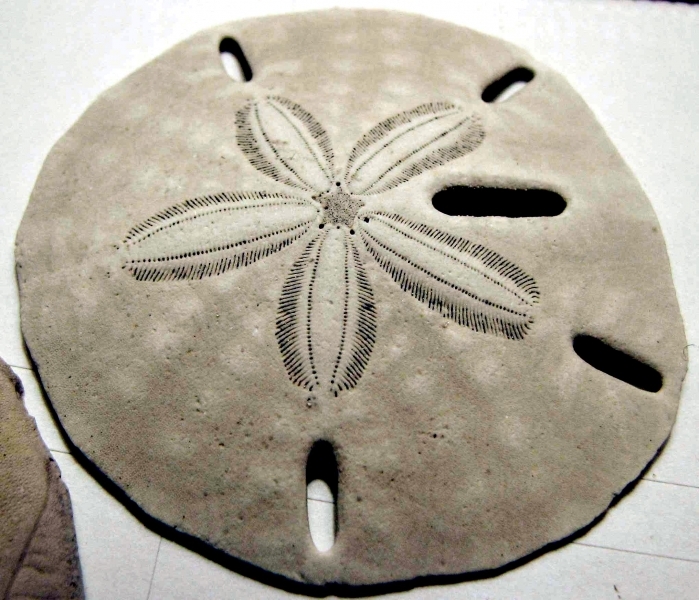 This reproduction of the Sand Dollar is seen each spring season.